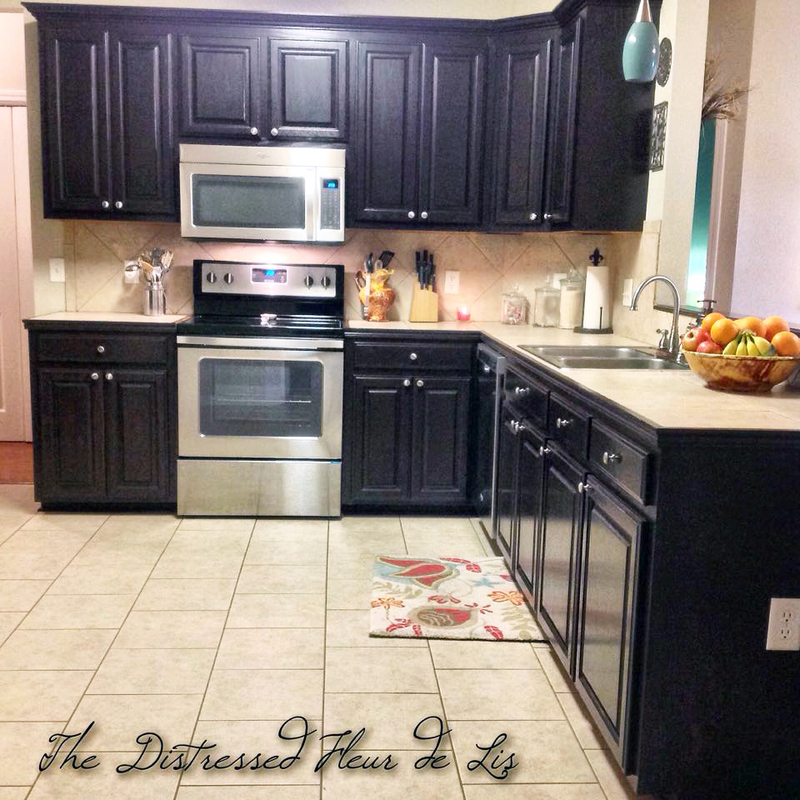 Mamye of The Distressed Fleur De Lis​ shared her gorgeous kitchen transformation. I finally finished my kitchen cabinets and it only took me a year! You know the old saying about a Cobblers children having no shoes....well it's true! I refinished my honey oak cabinets using General Finishes Java Gel Stain. I was a little scared to start with because I didn't want the kitchen to look smaller with all the dark cabinets but it actually looks bigger now. To me, the dark offsets the light walls, countertops and floors just perfectly!